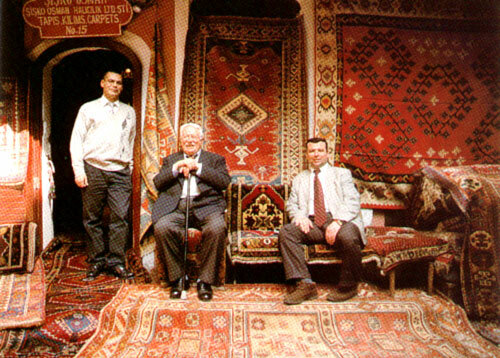 The differentia-scpecifica of "Þiþko Osman"who is involved in hand made rugs and kilims business in Istanbul Kapalýcarsi (Grand Bazaar) for four generations comes from the quality of the products he sells. Customer satisfaction is his main principal. 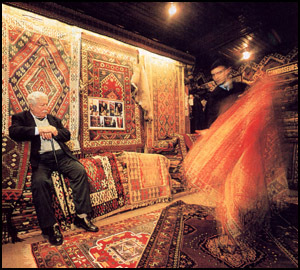 He travels all around Turkey step by step and acquires the rugs and kilims that are wove by young ladies for their trousseaus. "Þiþko Osman" has a special place among his colleagues on the sector that requires a great self-sacrifice and know-how. By his words “it is not enough to know about the rug but you have to read it”. Rugs and kilims has a specific alphabet. The motifs and colours used in the rugs and kilims indicates us the sensations and the ideas of the young ladies who had woven it. These rugs and kilims that are woven by the young ladies for their own use are completely far from the commercial purposes, the materials and dye used are chosen with great care. In general, they are prepared from pure lamb wool and root (naturel) dye. 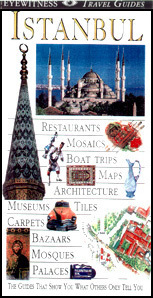 It gives a separate propertie and value to the carpets and kilims. Rugs and kilims prepared for use as trousseau become more valuable as far as they are used and do never devaluate as the ones prepared for commercial purposes. These rugs and kilims for trousseau wove by use of various motifs, design and colours posses an precious art craft quality. At "Þiþko Osman" who has a large collection you can find rugs and kilims in various sizes, different colours and designs. You will feel as if you are at your own home while visiting the large rugs and kilims collection of "Þiþko Osman" and you will be able to get detailed information about the rugs and kilims you like from the experts. "Þiþko Osman" also an expert on antique rugs and kilims, has a large collection consisting of unique pieces. You can see this collection prepared for the palace as well as the rugs and kilims for trousseau. Silk is the main material used in these rugs that are prepared for use in the palaces of the Ottoman Empire. These precious palace rugs having a specific importance regarding to their purpose preparation can only be found in museums and special collectors. You can have the pleasure of feeling these rugs at "Þiþko Osman" whereas in museums you can only see them.